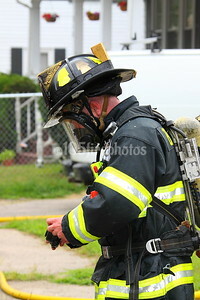 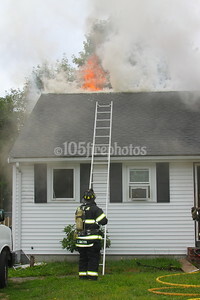 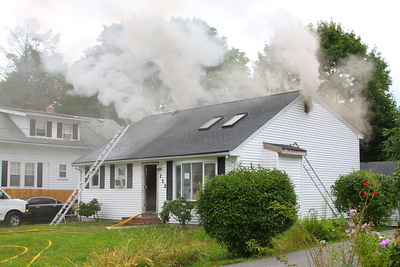 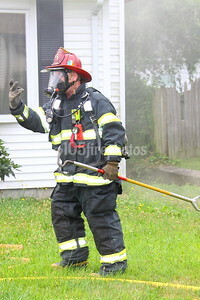 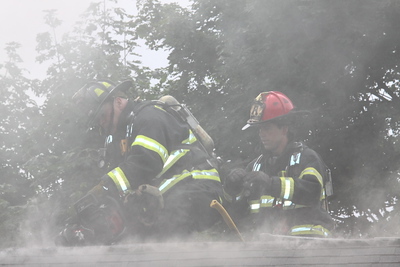 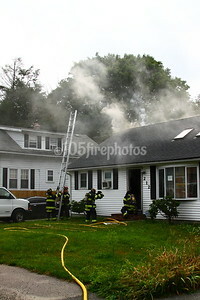 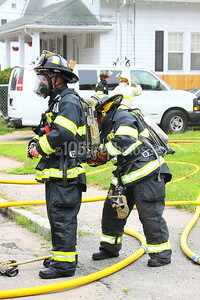 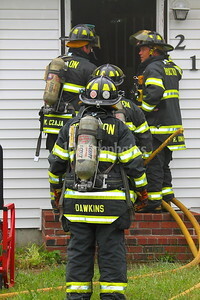 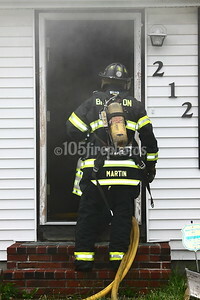 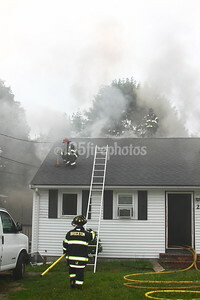 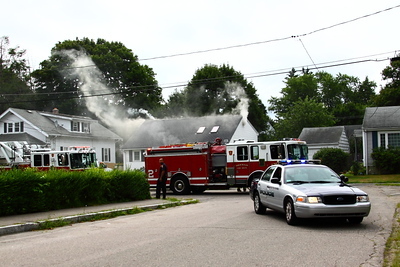 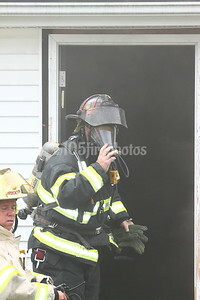 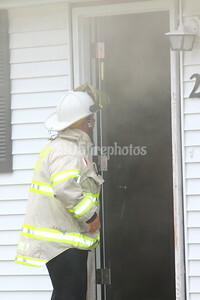 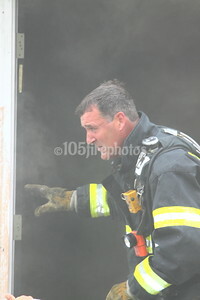 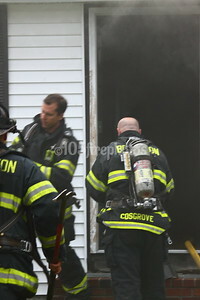 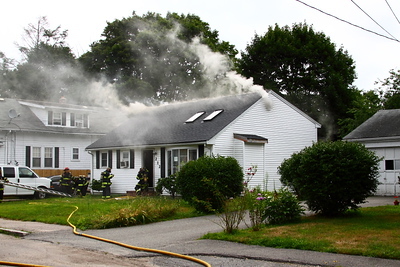 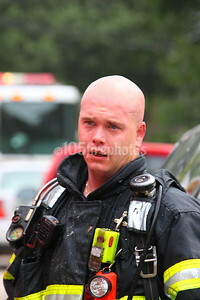 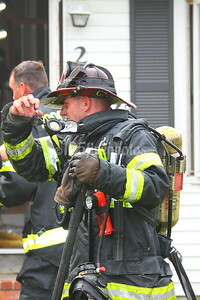 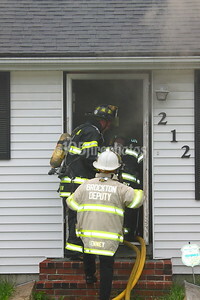 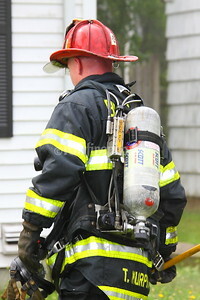 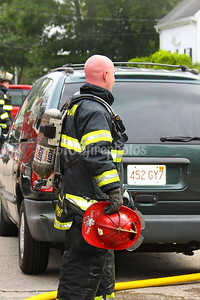 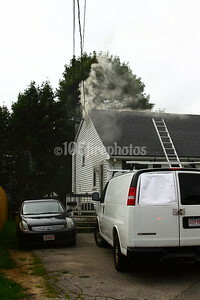 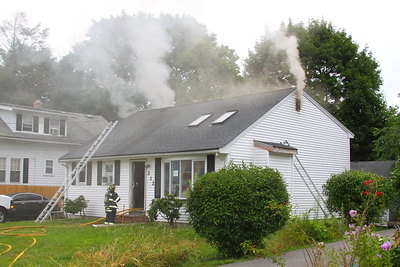 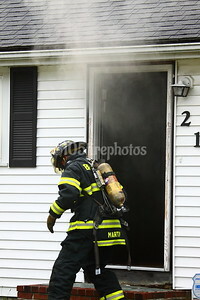 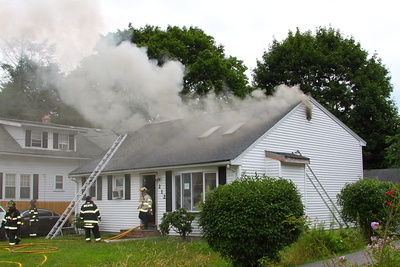 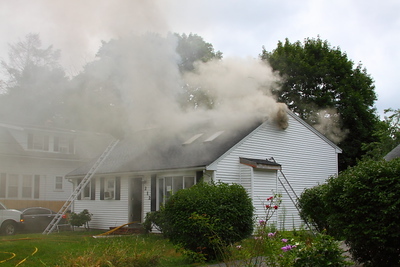 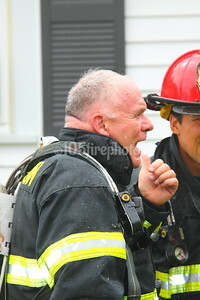 Brockton FAO transmitted Box 2211 for a reported house fire in the city's southwest section. 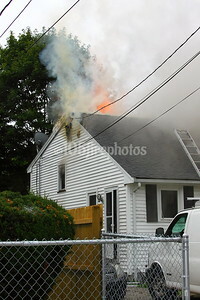 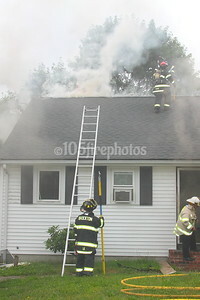 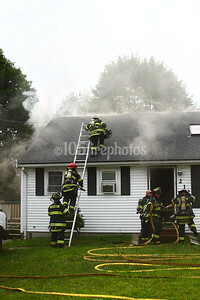 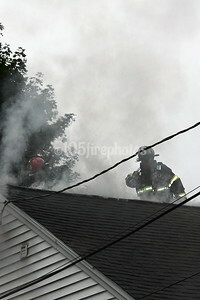 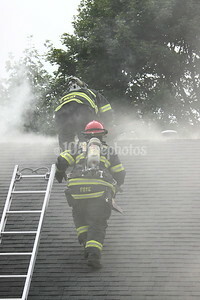 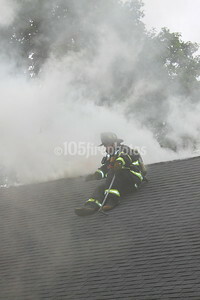 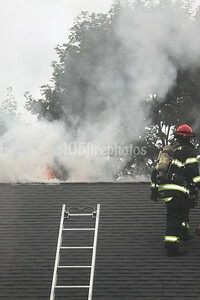 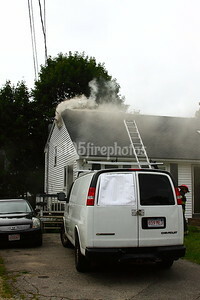 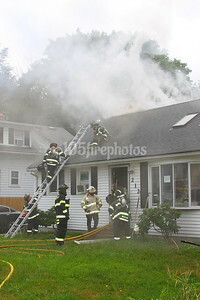 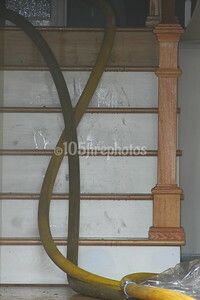 Engine 2 was 1st on scene and had smoke showing from the attic area. 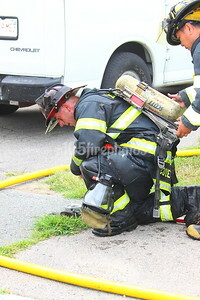 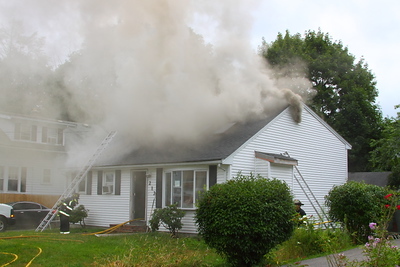 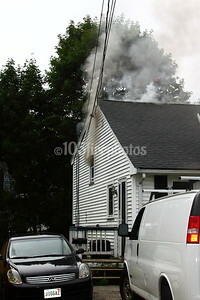 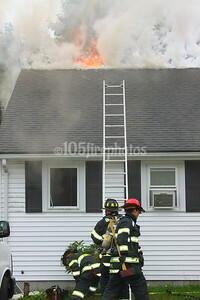 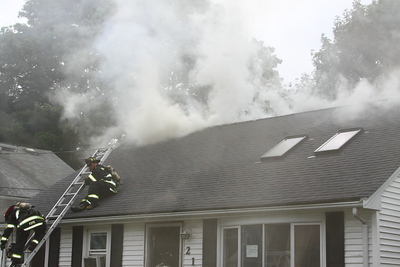 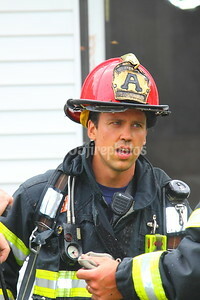 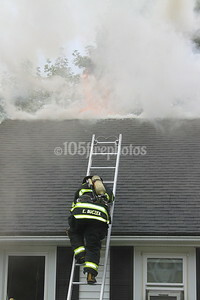 Two lines were stretched and quickly knocked the blaze down. 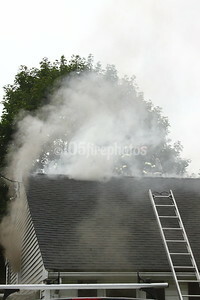 Engines 2,5 Squad A and Ladder 2 responded, with Engine 4 being special called.